Brace yourselves, folks. This stadium is among the best, but the weather was absolutely no joke. 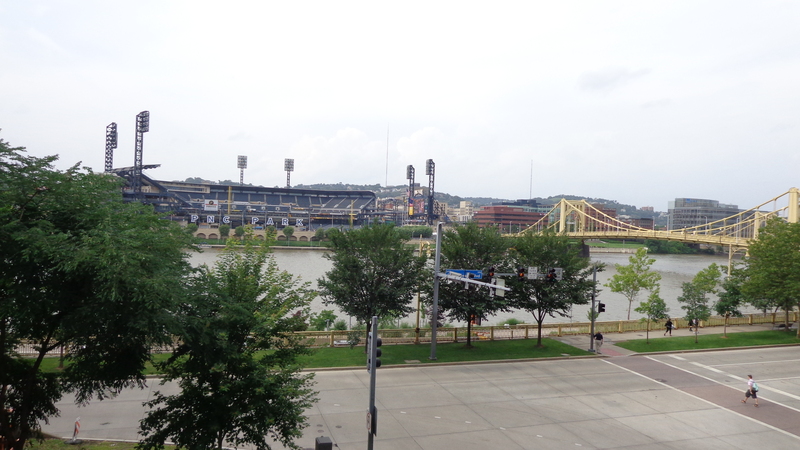 After making a visit to a former ballpark site, Mike and I met up with an old friend, Chuck, in downtown Pittsburgh. It was great getting to see him, and I was sad he couldn’t make it to the game with us. For the record, traversing through the streets of Pittsburgh is not fun. Trying to navigate through there is no laughing matter, either. It doesn’t help that Mike absolutely hates Pittsburgh, but I wasn’t going to let that stop me from enjoying my day at PNC Park. I will come out and say it, because of my slight bias as a Dodgers fan, I will say that if it wasn’t for the Giants playing there, I would rank this as the second best ballpark in the majors. As it is, this ballpark easily ranks in my top 5. 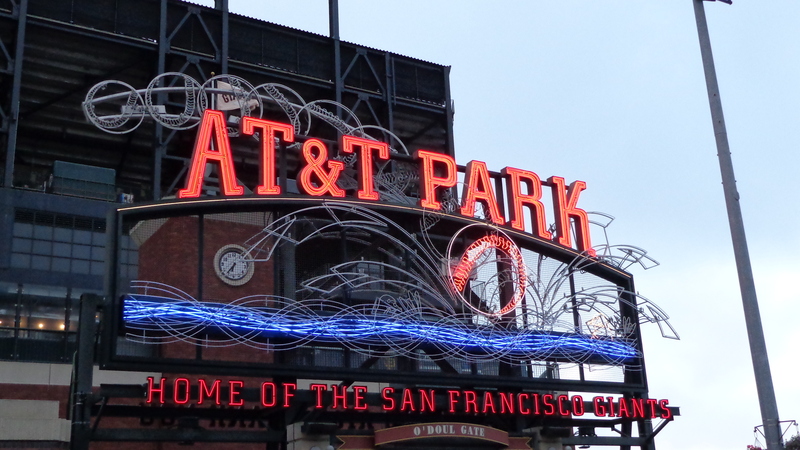 San Francisco’s AT&T Park is that amazing and everybody that’s a true baseball fan should go there at least once. The night before I was to attend the Giants game against the Padres, I made it a point to watch the Giants/Dodgers game on TV to see my hometown Dodgers clinch the NL West division! Watching that game was amazing… but that also meant that the Giants could clinch a playoff spot at home on the game I was attending. San Francisco had yielded a strong team all season, and I predicted they would be a tough out. In fact, at the time of this game, I assumed that the Giants would not only win their Wild Card game, but with their NLDS series and play the Dodgers in the NLCS. Part of that was wishful thinking to see an epic Giants/Dodgers duel for the pennant. Little did I know I would see the start of an amazing run into October. After leaving Oakland and spending the day at the Golden Gate Bridge, I made my way early on to AT&T Park with Kelsey to catch some BP and really look around the entire cove of the park. The place was buzzing with excitement as they playoffs were drawing near. Many believed there would be some games for the Giants in the NLDS, and some were hopeful for the NLCS. There were a few fans that were thinking World Series. However, nobody I talked to thought the Giants would win the whole thing. Not at that time, anyway. After the All-Star break, I felt completely ready to take on a bunch of different ballparks, and this is where the bulk of my travels take place. This downtown San Diego park is one that I’ve frequented. 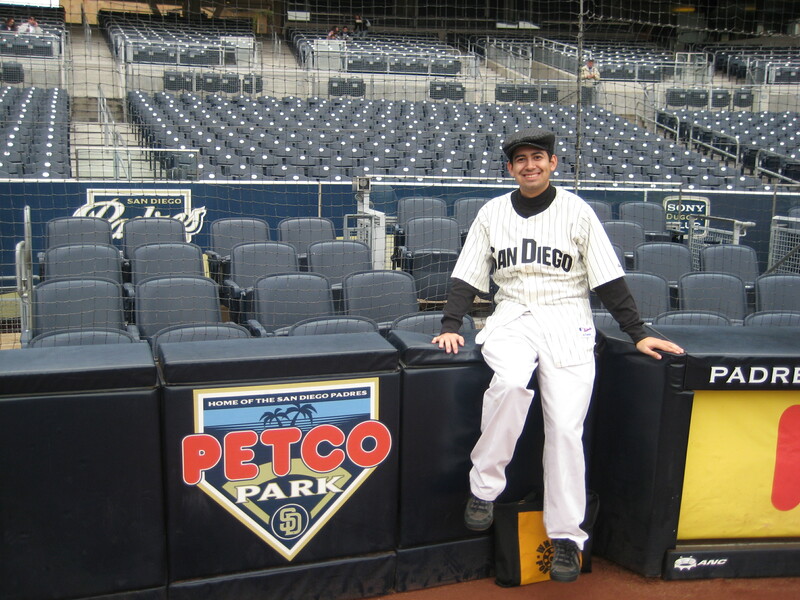 However, I’ve only made two visits to this park in the last five years, and one of those visits was with my best friend, Paul, to the Padres Fan Fest in 2010. 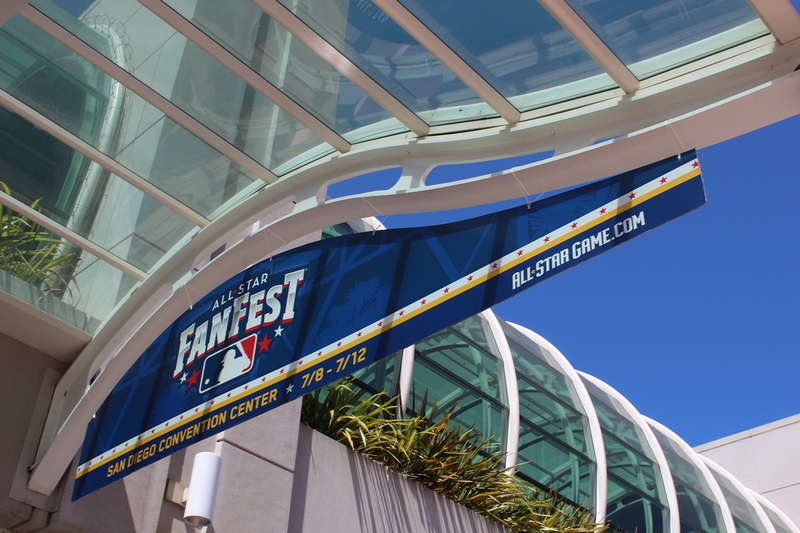 I figured it had been long enough between trips to Petco Park to garner another fresh take. Instead of comparing how the park looks now to back when it first opened in 2004, I gave myself a clear head and took everything at face value. Get ready folks, this is going to be a long post! 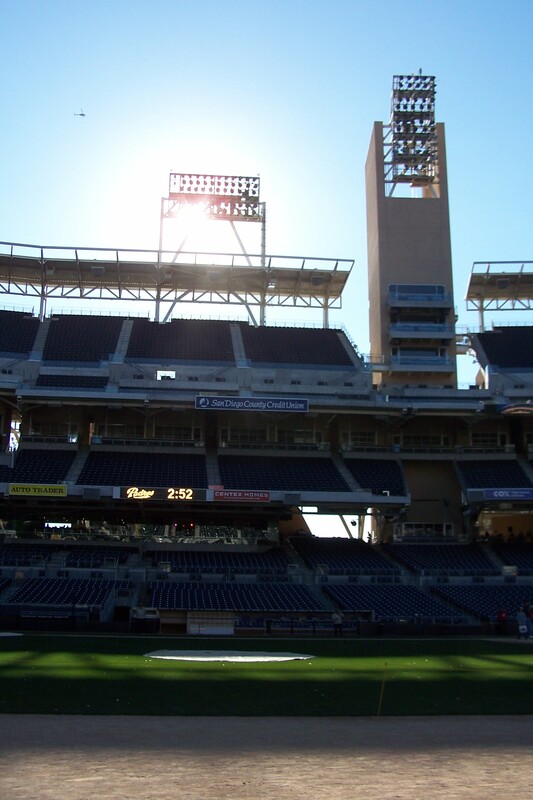 Ballpark 2: Petco Park, elevation 15 feet. 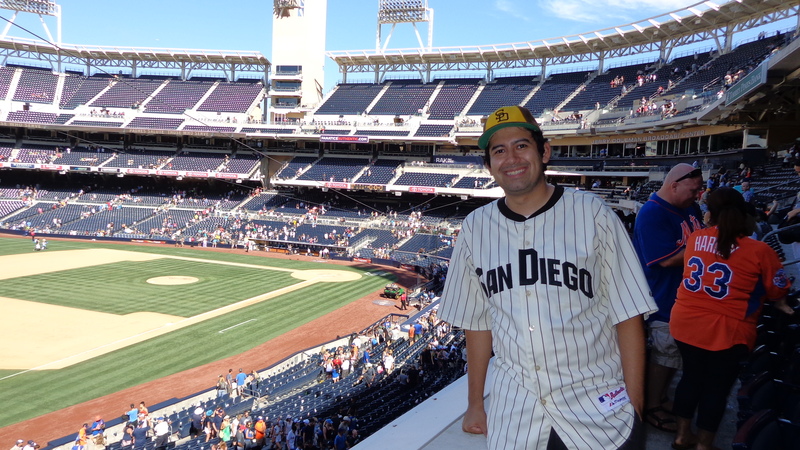 The game: Mets @ Padres on July 20, 2014. This fairly new ballpark near the Gaslamp District is in the heart of downtown San Diego, and is built with some classic elements in mind. 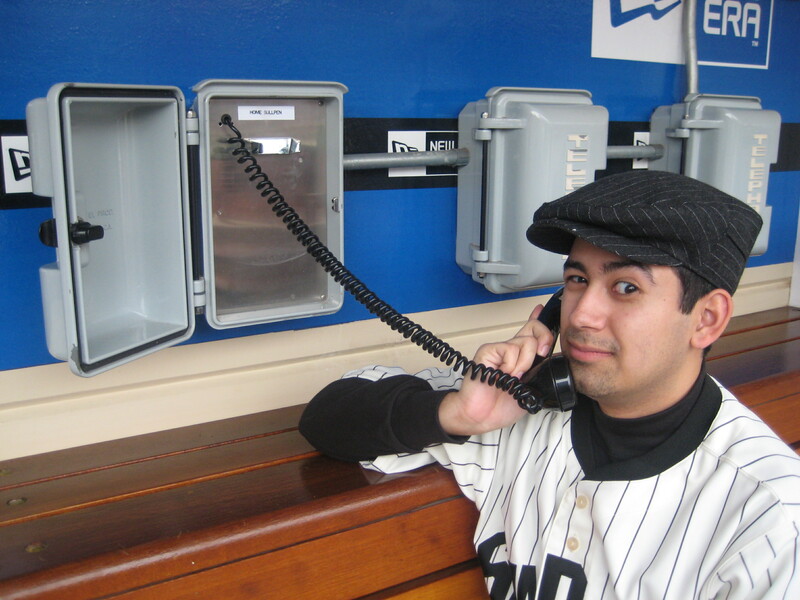 This park is classified in the “retro modern” column, and one look at left field will tell you why. Embedded within the stadium is the old Western Metal Supply building, which is over 100 years old. 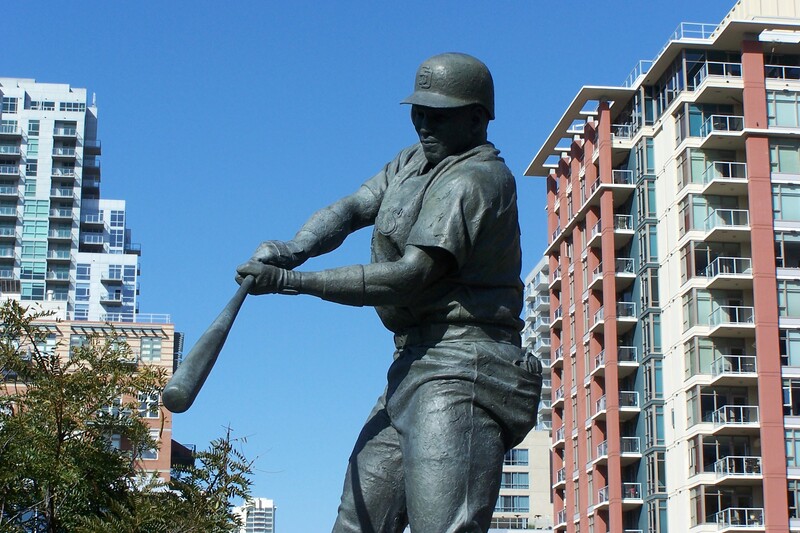 Because the park was built in the downtown area, there has been some new developments built around the area of the ballpark. 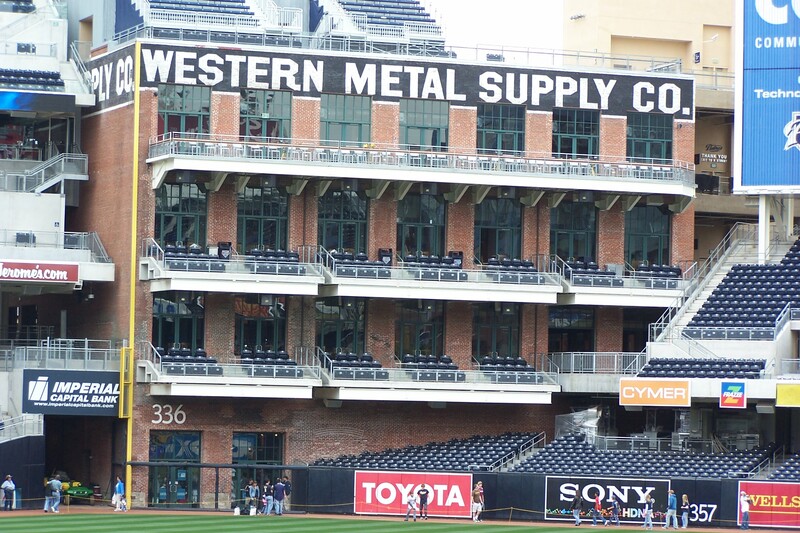 Also, parking is at a premium which is why the Padres encourage the use of public transportation. Time was that for a night game, I would park far and just take the trolley in as there is a stop right outside the Park for less than five bucks. However, parking all around downtown has shot through the roof, and the trolley prices have gone up! 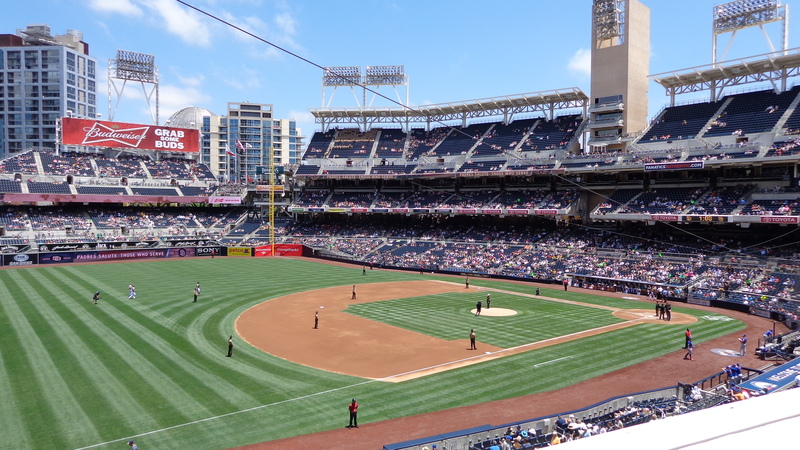 If you are going to Petco Park by yourself, then I would recommend parking far away and then take the trolley in as it’s a $5 round-trip ticket. 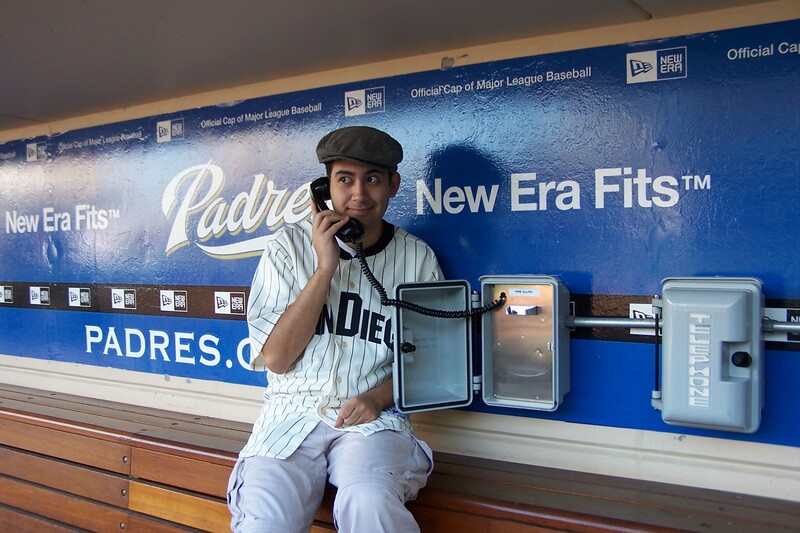 There is also a trolley service that goes from Qualcomm Stadium (the Padres old stadium) to the Park on game days. However, here is a little known secret that most people forget. You ready? You read that correctly. Outside the Park, there are a multitude of meters that are enforced Monday through Saturday in and around the Gaslamp District. But, those meters are NOT enforced on Sundays! Most people know that, but not enough as I was able to snag a space not far from the Western K Street entrance. The meters are not checked… and neither are the yellow-painted curbs. That’s because the yellow-painted curbs are commercial loading zones, and you can park there anytime on Sundays. Since this was a Sunday game, I decided to look for street parking early on, and I did a double-take when I found a parking spot only ONE block away from the entrance. This was painted yellow, which might explain why nobody was going after it. But I snatched up the spot on 6th Avenue, and made my way inside the Park. 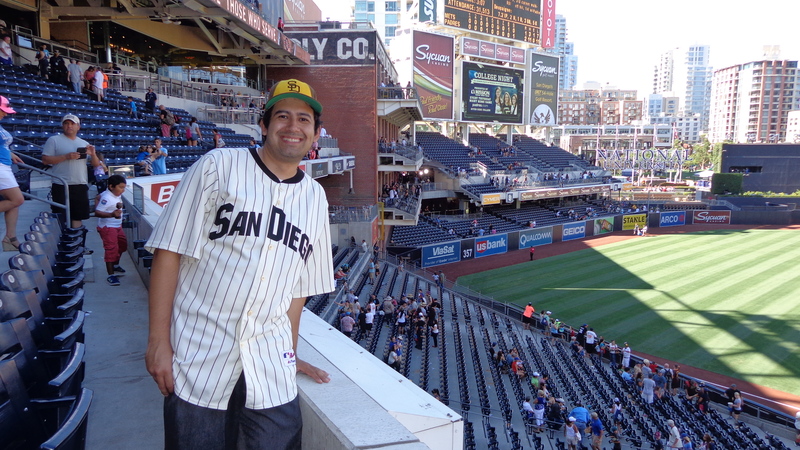 The ushers were very kind with me entering the ballpark, maybe because I was wearing my Padres gear. 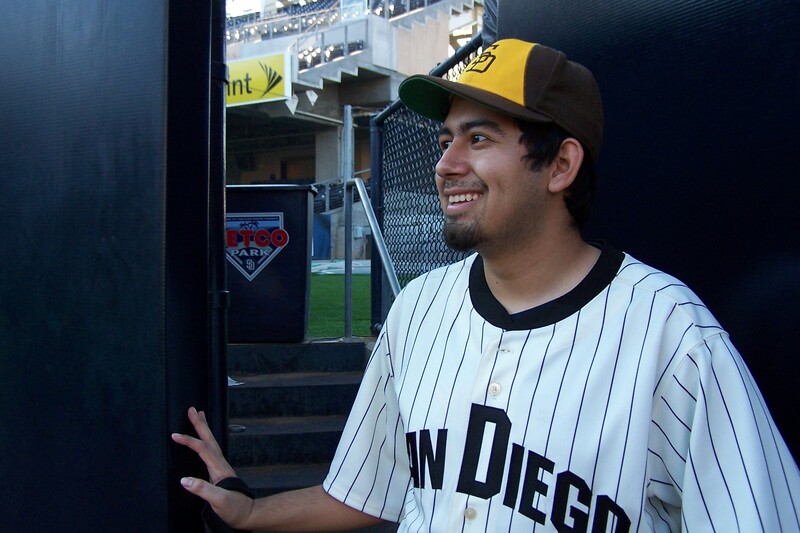 For those of you that collect jerseys, I was wearing my 1936 Padres jersey from their days in the old PCL. Ted Williams wore that jersey way back then, so it’s more than good enough for me. Every time I attend a game in San Diego, there is at least one person who either asks about where I got it, and/or if I want to sell it. Entering the stadium, I got a free 4-page program that lists the current players for both teams. This is always very important when the trade deadline is approaching and some teams have already made trades (as the Padres did earlier that weekend). Since it was Sunday, it was also family day, so there were freebies all over the place, especially for the young ones. Every Sunday, Padres fans 14 and younger can get a free autograph from a current or former player before the game. I will say this, the Padres organization know how to treat their young fans the right way, and I tip my cap to them for that. 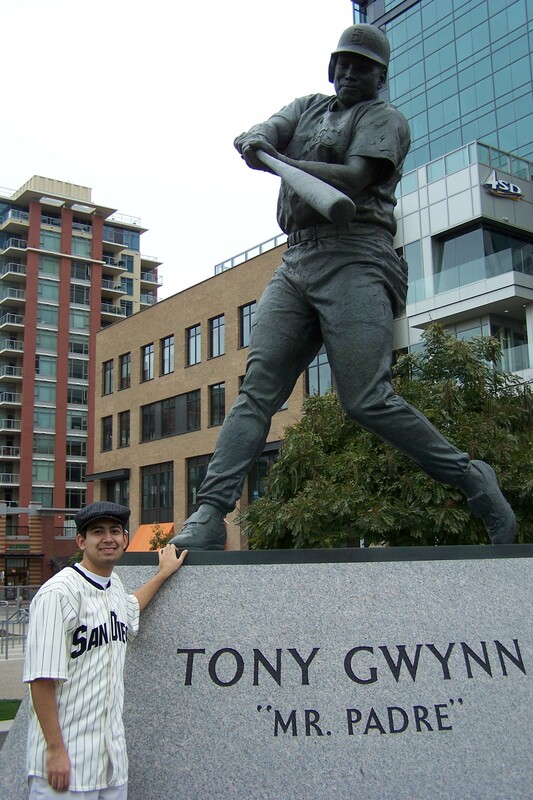 After checking out the pitchers warming up, I wanted to pay my respects to one of the greatest hitters of my generation, Tony Gwynn. When I got there, fans were already flocking to his statue beyond the center field bleachers and placed flowers on it. Tears are still being shed to mourn the passing of Mr. Gywnn. After that, I had about an hour to peruse my food options. Yes, I needed almost the entire hour. The food choices are vast and amazing. I ended up scouting out many places until I finally decided on a tri-tip sandwich from the Seaside Tri-Tip cart. The best bang for your buck might be that place because the food from there tastes amazing. They also serve up mouth-watering tri-tip nachos. Yes, this is a real thing… they looked that good. But one of the best deals is the Seaside Market by section 105 inside the park. Their peppered tri-tip sandwich with two sides is very tough to beat, especially when one of those sides are the potato wedges. I think the price was around $13, but this was a pretty sizeable meal. I’ll put up a couple links about the food down here. Yes, there are other awesome drink and food options there, but I didn’t touch those because I sat in a place where I got in-seat service, and would later use it. Ticket prices: StubHub saved me once again, and I was able to find a couple Toyota Terrace seats in Section 216, row 1! The view from there is perfect for the game I was about to watch. Normally, those tickets are in the $40 range, but I found them for under $24 each thanks to the Wendy’s deal, once again. The ticket prices have gone up quite a bit over the years, but not enough to keep the fans away. Once again, StubHub is your best bet since there is a pretty decent secondary market for tickets. There isn’t a bad seat in this ballpark, and the upper reserve seats are closer to the action than at most massive ballparks. Petco Park feels like a cozy park without being too small. The game: I had read an article the day before the game about who was throwing out the first pitch. Agnes McKee had been preparing for two months to throw out the first pitch in this game. A small-town girl from Indiana, she was married for many years to her husband, who served in the military. 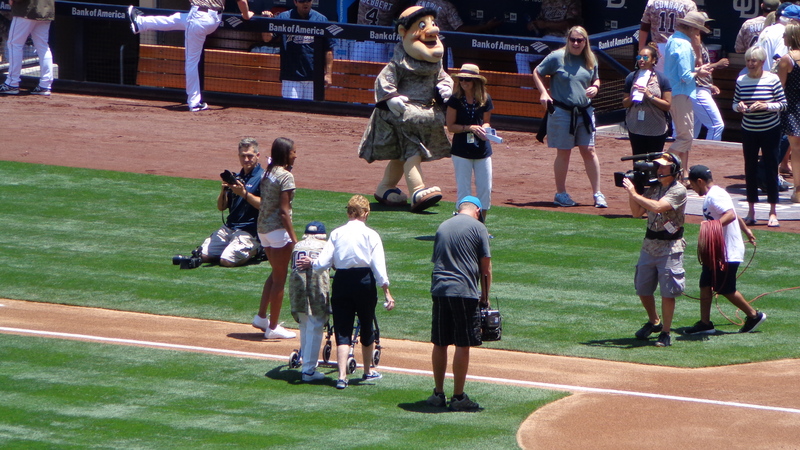 This Sunday featured a salute to veterans, which the Padres organization is top-notch at. By the way, Agnes is 105 years old. There was some news about her that morning, so when she stepped out on the field with her walker, she got a thunderous ovation. She underhanded the pitch, and she did it! This was an amazing moment, and this was an omen to the afternoon of baseball I was about to see. The game started out very quickly with a baserunner here and there, and the first four innings took only an hour with a Padres homer as the only offense of the game. 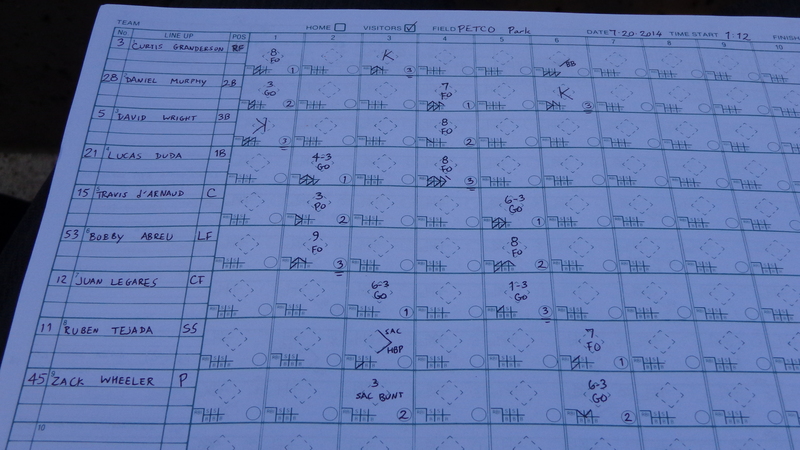 Entering the top of the 5th inning, I notice something on my scorebook, but don’t make any mention of it. 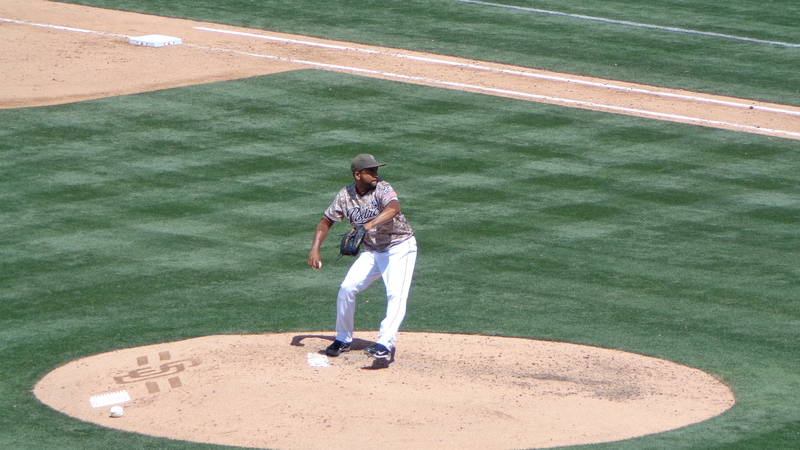 Odrisamer Despaigne came in with a 2-1 record and a 1.35 ERA, so I knew he had some good stuff… but his arsenal was particularly electric on this Sunday afternoon. After a quick three outs in the 5th inning, I was glad that I had in-seat service because I wasn’t about to leave my seat. Still scoreless, Despaigne gets the first two outs quickly in the 6th inning before allowing a walk, his second base-runner of the game (the first was hit by a pitch). After striking out Daniel Murphy, even the crowd started to sense what was going on. Many of the fans around me were aware of what was taking place in front of them, but they didn’t say anything. All one fan said near me was, “Hey, look at that!” I nodded my head in agreement. I will let this picture of my scorebook speak for itself. The Padres threaten in their half of the 6th, but Despaigne grounds out with a runner on third to end the inning. The crowd didn’t seem to mind, though as the Padres had a 1-0 lead and were witnessing something special. Nine outs to go. 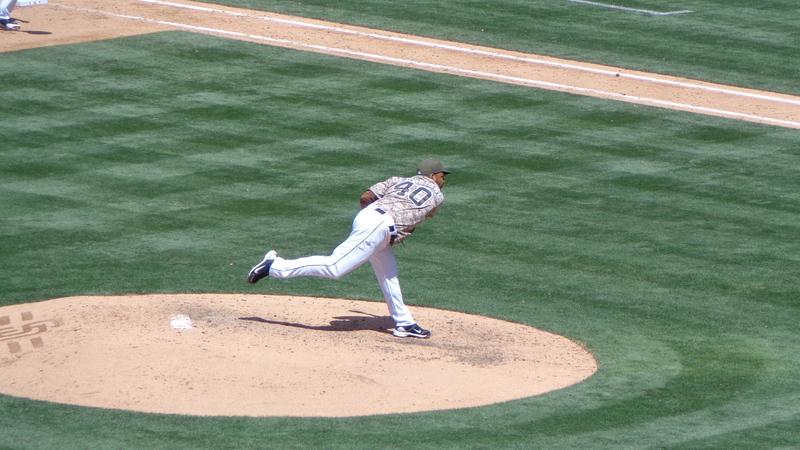 Despaigne gets the first two outs of the 7th, but then walks the bases loaded! However, he still had something incredible going, so he remained in the game with seven outs to go. This was probably the most tense I’ve seen any ballpark in a very long time. The San Diego Padres are a team without a no-hitter, and this pitching prodigy could be the first ray of hope for this franchise. Finally, Ruben Tejada hits it back to Despaigne, and the crowd erupts. Six outs to go! God Bless America! The Padres don’t score in their half of the 7th, so now we move on to the 8th inning, and the crowd buzzes with anticipation as Odrisamer Despaigne gets back on the hill to possibly achieve history. After fouling off a pitch, Kirk Nieuwenhuis finally strikes out swinging. Five outs to go. Curtis Granderson battles and gets a piece of a couple pitches before finally striking out looking. Four outs away. Could this possibly go into the 9th inning? Despaigne gets Daniel Murphy to a 2-2 count, and the crowd as at its loudest. One strike away from getting out of this inning. These fans knew what they were talking about. No Padre has thrown a no-hitter in the franchise’s 45 year history. The only time a Padre had a no-hitter going into the 9th inning was Chris Young back in 2006 at Petco Park. This is definitely a pitcher’s ballpark, so we might see one at some point here.